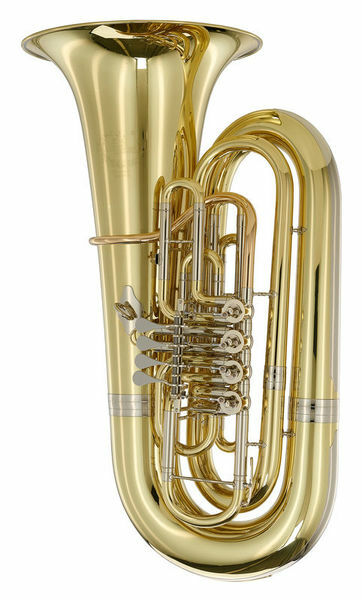 I have been playing F-Tuba (3100 from B & S) for many years. 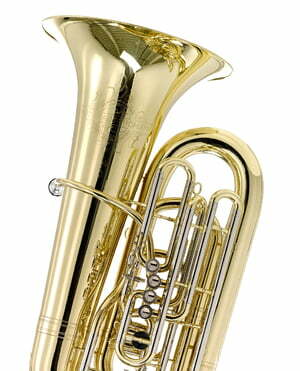 Now I have decided additionally for this B-Tuba. The change was not as difficult as many colleagues prophesied. Of all sampled instruments (from Melton over Cerveny to Meinl) this (together with the GR55) speaks just as easily as I am used to by the F-Tb. Intonationmäßig I am just as satisfied. Only in depth (from Contra-D) a trigger would not be wrong. But there are hardly any manufacturers, the sowas as standard block. In addition, you can light the fourth train quite easily and then trigger with it. When the instrument is held horizontally, the first and second valves occasionally hook. I could not observe the mistake in an upright position. The sound is tremendous. Despite great restraint it was a challenge, my symphonic wind orchestra (with about 40 musicians) not to be overtone. Together with the PT50, it is a great instrument that surpasses all my expectations. ID: 180750 © 1996–2019 Thomann GmbH Thomann loves you, because you rock!